This is for those who need their Experience Pack Shipped to them. This is for those who need to have their Experience Pack shipped to them. This option is for graduates only. This is by appointment only. Please call 325-200-7941 to schedule after you purchase your class. This is to join the Group Program, The Fit By Faith Formula for as a graduate. You have to have completed this program previously to purchase at this rate. Program Price includes Online Workouts. Early purchase discounted price for limited time. Can not be ordered alone, must be ordered along with your Experience Pack. We have them on a faster and better server so they can no longer be purchased through this store. This is good for 1 Personal Training Session. We can mail this to your recipient upon request! 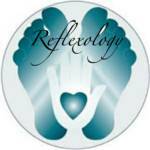 Personal training and/or reflexology sessions are discounted the more you purchase up front. 12 sessions expire in 2 months, 25 expire in 3 months, 50 expire in 6 months, 100 expire in 1 year and 200 expire in 2 years. Time period can be put on hold due to reasonable circumstances. Sessions are non-refundable. Continue on with The Fit By Faith Formula Program and learn how to sustain and maintain. Program is emailed to you after purchase and contains all you need to tweak your fat loss formula even more with various options based on your lifestyle and needs. This is only for graduates of the Fit By Faith Formula Program. Program Price includes Online Workouts.